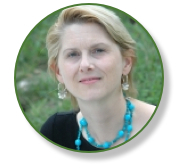 An award-winning literary essayist, novelist, poet, and translator, C.M. Mayo has been living in and writing about Mexico for over 25 years. 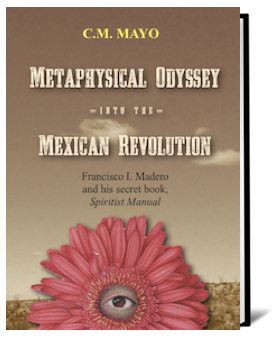 She is the author several other books about Mexico, including Metaphysical Odyssey into the Mexican Revolution: Francisco I. Madero and His Secret Book, Spiritist Manual and Miraculous Air: Journey of a Thousand Miles through Baja California, the Other Mexico. Her first book, Sky Over El Nido, won the Flannery O'Connor Award for Short Fiction. Named a Best Book of 2009 by Library Journal, The Last Prince of the Mexican Empire has been widely lauded as in the words of the Austin-American Statesman "a swashbuckling, riotous good time, befitting the fairy-tale promise of the opening sentence." Nonetheless, it is based on extensive original archival research, and she has lectured widely about it at the Library of Congress, the Center for U.S. Mexican Studies at UCSD, the Harry Ransom Center at the University of Texas Austin, and elsewhere. The Spanish translation by Mexican novelist and poet, Agustín Cadena, was published by Random House Mondadori Grijalbo as El último príncipe del Imperio Mexicano in 2010. Mayo's translations of Mexican contemporary literature have appeared in numerous journals and anthologies, most recently, Three Messages and a Warning: Contemporary Mexican Short Stories of the Fantastic (Small Beer Press) and Best Contemporary Mexican Fiction (Dalkey Archive). Her own anthology, of 24 Mexican writers, is Mexico: A Traveler's Literary Companion (Whereabouts Press). Born in El Paso, Texas, raised in California, she was educated at the University of Chicago. She has been a resident of Mexico City for over 20 years. She is currently at work on a book about the Big Bend region of Far West Texas, and appropos of that, hosting the Marfa Mondays Podcasting Project. Always delighted to hear from readers and workshop students. 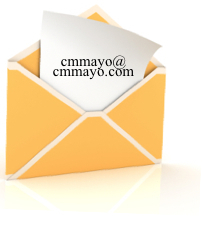 Click on the envelope to send your message.